MG Midget and Austin Healey Sprite front anti-roll bar. The PME anti-roll bars are designed to help control the transfer of weight under cornering and are developed to offer a direct replacement for the standard component. The larger the diameter the stiffer the car will be come, meaning weight transfer is slower. 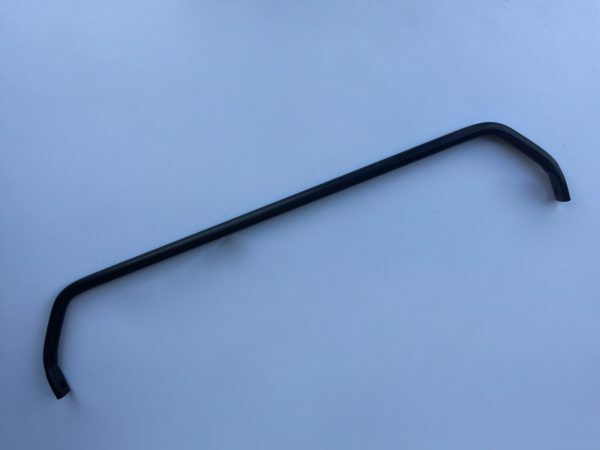 Our 5/8″ anti-roll bar offers greater stiffness over the original 9/16″ and is ideal for fast road use, sprint and hill climbs on 948cc to 1275cc cars. We carry full stocks of all fittings for the larger roll bars including bushes and clamps.